TeachVac handles school jobs, all teacher jobs, Science teachers, Maths teachers, English teachers as well as leadership jobs. , a new tab will open. 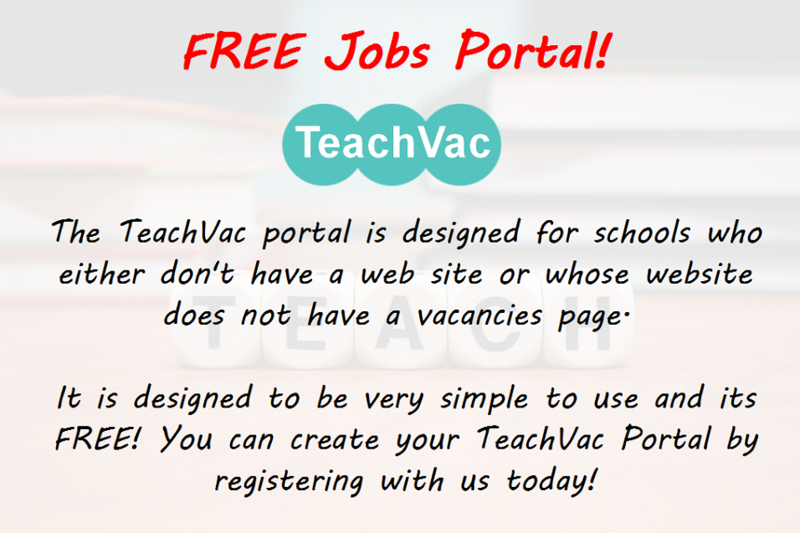 TeachVac helps teachers search for jobs and schools list vacancies. Registration and use is FREE for teachers, trainees and schools. TeachVac is brought to you by Oxford Teacher Services. 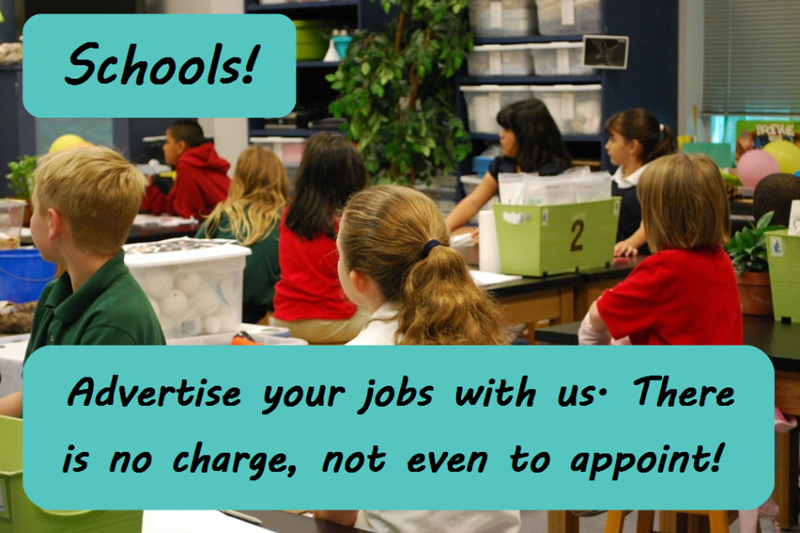 Simply click on "Show me jobs" for Teachers or "Save me money" for Schools to login or register with us.